Ladies you know your hair is dry. It’s frizzy, dull and lifeless. There are so many shampoos and conditioners for dry hair out there how do you know what one you should pick? Every great style starts in the shower. Having a clean scalp is one of the most important thing to having great hair. With dry hair whether it is fine or coarse. Curly, wavy or straight. Thick or thin. Whether you wear it curly or blow it out straight, you need to start with the right shampoo and conditioner to moisturize your thirsty hair. Let’s tame that mane. Davines Love Smoothing Shampoo & Conditioner – Wash and moisturize the natural way with love shampoo & conditioner awarded 2014 best of beauty natural wonders by allure magazine. This pair is infused with minuta olive, fatty acids and vitamins to soften the hair and add elasticity. It also has phenethyl benzoate to add shine. 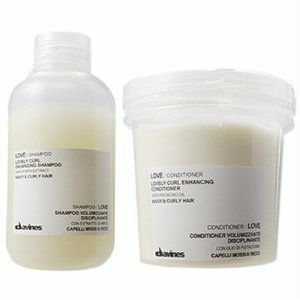 With love conditioner comb it through your hair in the shower and let sit for 3-5 minutes before rinsing. 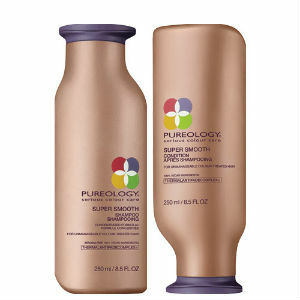 Pureology products are luxurious without the large price tag. This shampoo works right away with smoothing and taming your frizz by using gentle cleansers like coconut, sugars and corn and it still produce a rich lather. The smoothing conditioner delivers outstanding moisture for coarse, dry, frizzy hair as it intensifies your natural shine and protects against heat styling. 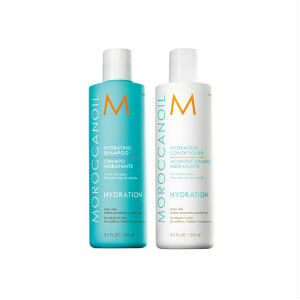 I always put Moroccanoil products in my post because they are awesome. Moroccanoil’s new smoothing shampoo and conditioner has amino acids that help strengthen hairs natural keratin structure and argan oil & argan butter to smooth and moisturize dry hair. 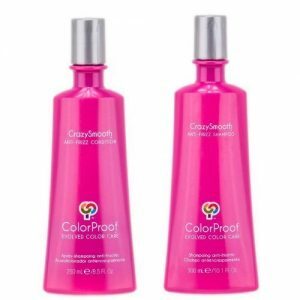 Use this shampoo and conditioner together to calm your hair and be frizz free, smooth and shiny for up to 72 hrs. This is one of my new favorite shampoos & conditioners. This S & C has camellia oil from Japan and abyssinian oil from Africa. It’s infused with shea and seaweed butter to make frizz disappear and add extreme smoothness and shine. You wont find any harsh sulfates here. Only outstanding frizz fighting formula that keeps you color safe, dry unruly hair smooth, and protect against heat styling. 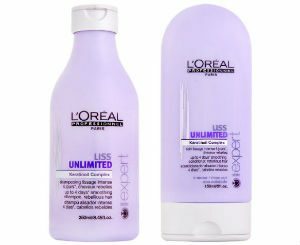 L’oréal Liss Ultimate Shampoo & Conditioner – L’oréal products are as classic as hair products can get. They were there in the beginning of the hair care revolution. Liss S & C work wonders on frizzy, coarse, dry hair. You can feel the wheat proteins and amino acids reconstructing your hair with every use. Kukui Oil and Evening Primrose leaves hair looking smooth, shiny and controls your frizz. Smooth out ladies Liss is here for you. A scientific breakthrough created from aquage, a cross-linked polymeric grid that keeps healthy oils from separating which allows healthy oils to infuse into the hair shaft properly. There is a healthy dose of mango seed butter and omega-rich macadamia nut oil to transform your dry, frizz hair into the silky smooth 8th wonder of the world. Plus let’s not forget it has UV protection, sulfate free and protects from heat styling. Be biomega, be frizz free. If you don’t feel like it’s cleaning your scalp and hair enough try adding more water as you work the shampoo through your scalp. Don’t add more shampoo your wasting it! Apply conditioner starting at your ends and stopping right before your roots. Comb conditioner through, let it sit for 3 minutes, then rinse.